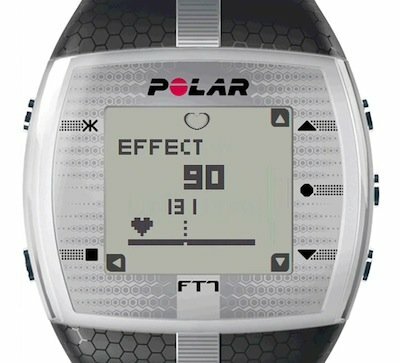 Polar FT7 heart rate monitor watch offers all the features of the FT4 plus Energy Pointer. Energy Pointer visually indicates when you are in your fat-burning range or aerobic fitness range. A weekly training summary provides feedback for your workouts and keeps up to 99 files in memory. Coded to avoid frequency interruptions. Provides automatic target zone to help maintain the intensity, but can be changed by the user. Audible alarm alerts the user when out of their zone. Counts and displays caloric expenditure. Tracks totals for session, training hours, and in-zone training. Button-free Heart Touch function. Since 1986, Power Systems’ passion for fitness has been fueled by our customers. Power Systems is committed to ensuring people have the tools to lead active lives with professional-grade products, cutting-edge educational materials, and elite customer service. “Power Your Potential” is the philosophy that guides everything Power Systems stands for.The Polar FT7 is a rugged watch and data-tracking heart rate monitor, combined in one attractive package. An innovative EnergyPointer feature graphically displays real-time information during your workout, letting you know if you’re burning fat or improving aerobic fitness. The FT7 comes complete with comfortable fabric transmitter and coded heart rate transmission, to avoid electronic cross-talk.